individual links that you believe will be useful for each of your patients. This site through the National Institute of Health offers an informative yet simple overview of MS, focusing on symptoms and treatment options. There is also contact information for many of the different organizations in the US that focus on MS. The Mayo Clinic offers brief information on symptoms and treatment, both medical and self-care. types of drugs used to help disease symptoms. and speaking with your provider regarding possible therapies. well as ways to take action locally. This site is dedicated to the ongoing research activities focused on finding a cure for MS.
information on the disease in regards to diagnosis, symptoms and treatments and the latest news on MS.
their families seeking self-help, advice, and support. This site is only available in German. This is a one-page overview of living with MS and has an illustration of what MS “looks like” in the body. symptoms, diagnostic procedures and current therapies. online courses and a forum for discussion. workplace, pregnancy with MS, community support, and resources for caretakers. outreach, educational and fundraising events, videos, patient stories, and other useful resources. Effect, Immunology, Health Insurance, and Legal Questions. patients and loved ones through links to partner sites. anyone with MS, and friends and family of those living with MS.
policy. There is also a blog and media center. 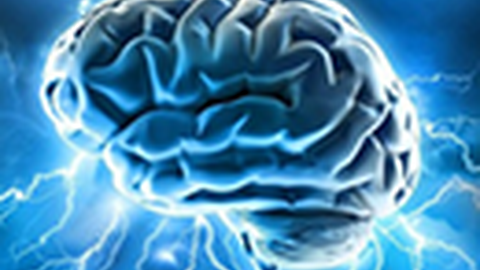 projects related to all types of neurological disorders including MS. The aim of this blog is to update patients on The London Neuroimmunology Group’s latest research in MS.
the lives of people living with this disease. talk to your physician about, patient experience stories, as well as ways to get involved in the MS community. Includes a link to a PDF Fact Sheet for patients. educational library of research articles and videos, or find out how to volunteer and fundraise. often mistaken for one another. The site links you to MS organizations and resources. or find out how to volunteer and fundraise. library of research articles and fact sheets, or find out how to volunteer and fundraise. treatment, clinical trials, and additional ongoing research. get involved in the MS community. You can also access patient videos and research publications. prolong quality of life amongst patients. online forums and social media discussing MS. The EAN pages offer research and publications on a number of different neurology topics, including MS. This resource provides internet links that may be of interest to your patients diagnosed with multiple schlerosis. Many of these links will provide invaluable information to your patients and will help them understand their diagnosis, cope with symptoms and treatments, and improve their quality of life.